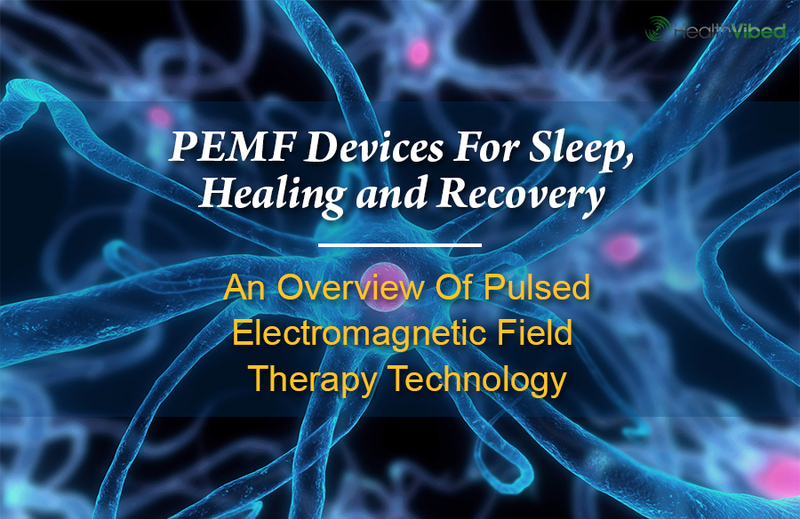 In this article we're going to be delving into PEMF devices for sale (pulsed electromagnetic field) which can be used to improve your sleep, and also for regeneration and muscle healing. 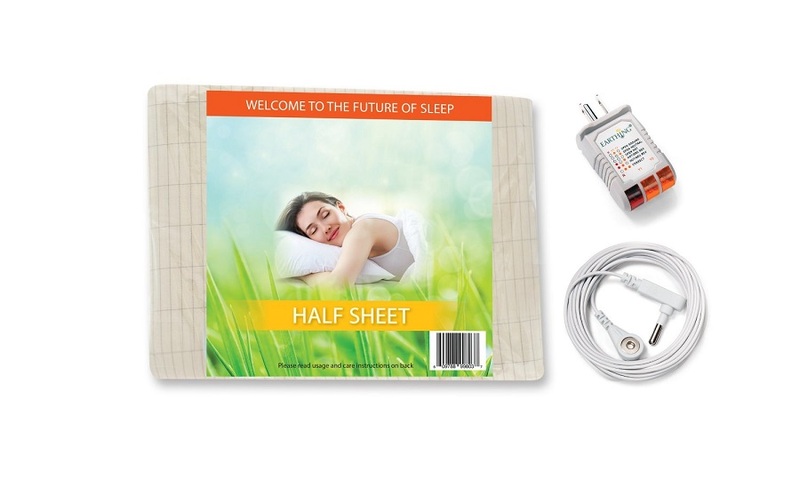 This is an area of personal development/health that I'm personally very passionate about, as using PEMF helped me to overcome a rather nasty case of chronic insomnia, which otherwise may have lasted much longer, if not be still occurring to this very day. There are a few different options here, and the budget range is all over the place from just a few hundred dollars at the lower end, all the way up to $10K and even higher. 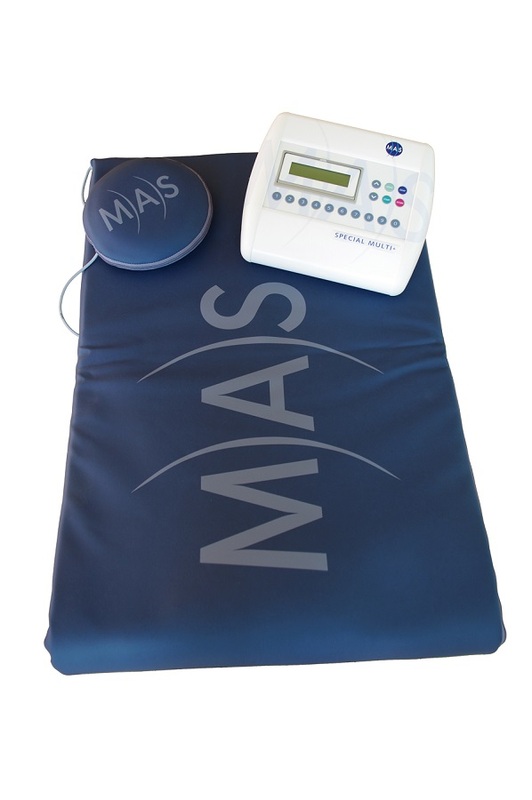 Firstly we'll have a quick look at the science behind PEMF for both sleep and muscle healing and other types of physical healing, after that there'll be an overview of a large proportion of the currently available PEMF devices on the market. There are many options here, and depending on what you're looking for, and what you want to use the device for, you'll want a certain type of device that accommodates for your requirements. 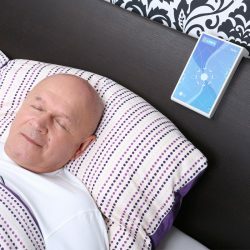 Other Device Options Besides PEMF For Improving Sleep? Sleep disorders are extremely common these days, and are shown to be on the increase . From what I've researched so far, it seems that this increase is very much related to the ever increasing problem with electromagnetic pollution (EMPs). Put simply, our world is very much a different place in terms of even it's essential physics, with so much more radiation of different sources affecting our biological systems, and that's not even looking at the other toxins in our environment, and the vast increases in those areas too (chemical). 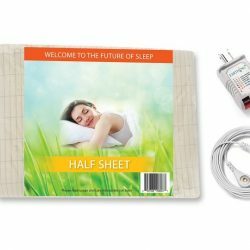 I believe that the main issue in terms of sleep, is that all this EMP in the environment disrupts are bodies circadian rhythm, and once that system is out of whack, it can cause negative cascades within our biology which has all sorts of ill consequences for our short term and long term physical, emotional and mental health. Unfortunately however, there is still however a lack of proper studies (high volume, human subjects) into this area, so while many people including myself theorize this is what's happening, we'll have to wait a little longer before we see the studies to back this up . There are however, plenty of animal studies . There are also SOME human studies, though as I said, I think we need more high volume, well designed, and well documented studies to really convince the masses of the significance of this issue, as people find it an inconvenience to their modern lifestyles . If you want to look up more studies for yourself, both the numurous animal studies, and the limited human studies, a good resource is the powerwatch.org.uk archive, found here (simply do a search in your browser on that page for “sleep” or other terms of interest and you'll find loads of research material) . I don't want to get too sidetracked, but unfortunately I think the process of verifying this problem with ample studies, is largely disrupted by the fact that the problem of EMP is very much wound up closely together with several hundred billion dollar industries, including for example the smart phone industry alone . 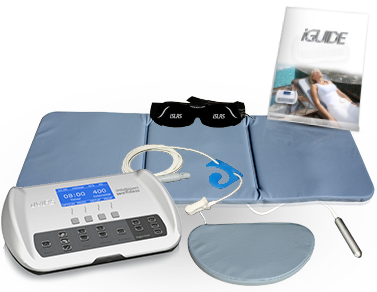 Pulsed electromagnetic field therapy has shown a lot of efficacy over the past several years in it's ability to treat mild and more serious sleep disorders, including onset and maintenance insomnia. 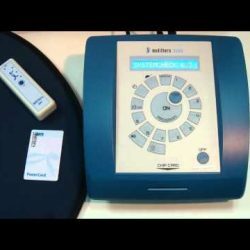 It's uses are not limited entirely to this function, but it's certainly one of the more common uses for PEMF. 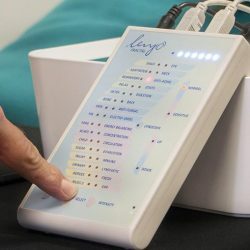 PEMF allows us to use technology, rather ironically you might say, to mitigate the negative effects of EMPs on our biology and particularly as is the focus of this discussion, to improve our bodies sleep function. 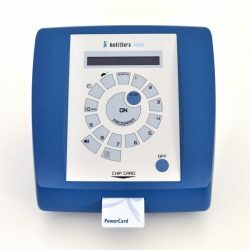 In one double blind, placebo controlled study on subjects who suffering from clinical insomnia, Seventy percent (n = 34) of the patients given PEMF to improve their sleep saw at minimum a substantial improvement in sleep quality, if not full remission of their sleep issues . 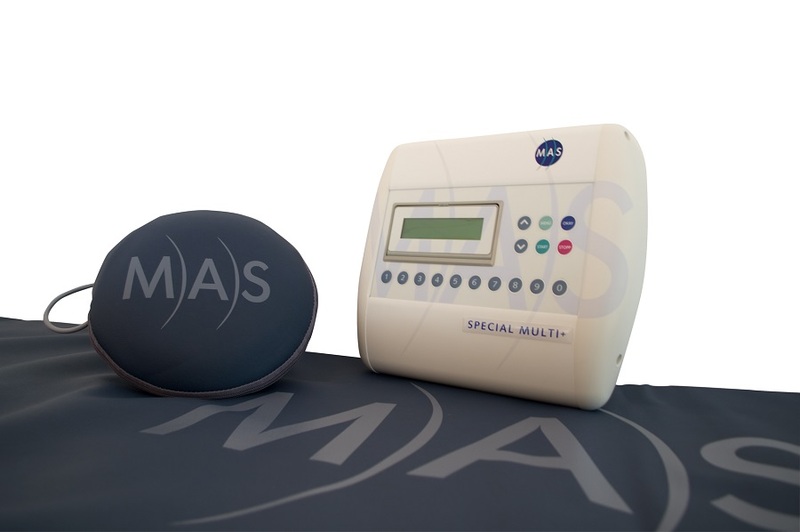 This study showed that rTMS (transcranial magnetic stimulation, which is very similar to PEMF, basically a brain localized version) improved stage 3 sleep and REM sleep when compared to both medication and psychotherapy treatments . 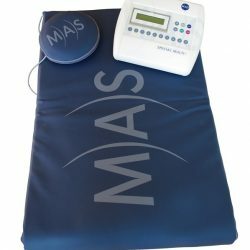 If you want to read up on more studies relating to Pulsed Electromagnetic Field Therapy for sleep specifically, then a good place to start is either by going to Google Scholar or Pubmed, and putting in terms like “PEMF sleep”, “pulsed electromagnetic field therapy sleep”, “elf sleep”, elf etc. There is plenty of research on this stuff, as well as plenty of anecdotal evidence, and it's growing rapidly. 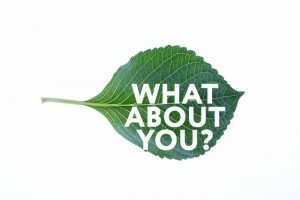 Our overall health is very much tied to health of our cells, and dysfunction and disease in cellular health will eventually show up as overall disease and dysfunction on a larger scale in terms of obvious symptoms of dis-ease and illness. 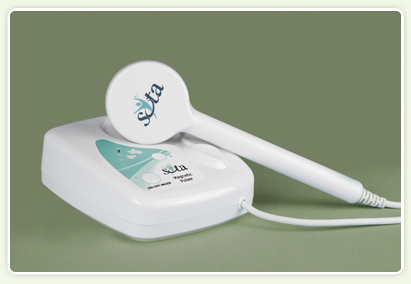 There are several studies showing the efficacy of PEMF when it comes to healing and recovery. 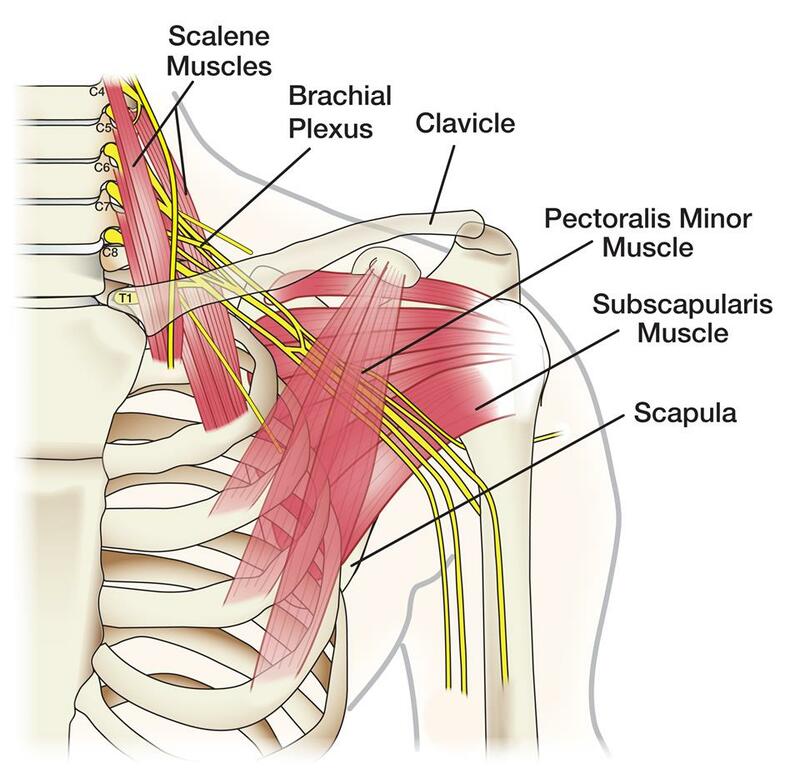 In one study published in 2016 (pubmed), a group of rats showed “PEMF exposure following rotator cuff repair improves early tendon healing” compared to controls . In another recent study, 2 groups of 20 male rats (one for control group) were studied to determine the effects of Pulsed Electromagnetic Field Therapy in collagen fibril alignment, collagen fibre deposition, and collagen fibre orientation. This was studied in relation to the collagen fibre deposition and myofibroblast population in diabetic wound healing. The control group had everything setup and done the same way, except the PEMF was not activated. The ultimate conclusion from this one study was that “PEMF can significantly increase collagen fibre in the early phase of diabetic wound healing” . Another interesting study that included PEMF, and explored it's potential for healing, was this study on a Comparison of Shoulder Management Strategies after Stage I of Fingertip Skin Defect Repair (pubmed). Study subjects were divided into three separate groups to determine clinical outcomes of various rehabilitation procedures for patients requiring shoulder management strategies after the first stage of fingertip reconstruction. 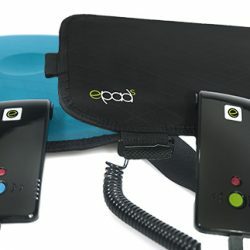 The groups were split into groups of approximately 30 people each, group A only performing active exercise, group B performing only passive exercise, and group C using a combination of active exercise and PEMF therapy. 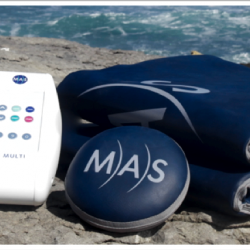 The study concluded that group C had the best outcome, and that active exercise with PEMF provided “superior patient-reported outcomes regarding relief of shoulder signs and symptoms” . Loads more studies are available, a simple search for “pemf tissue healing” or “pemf _________”, etc will return you loads of results, and that's just using the search engine on pubmed. Let's have a look into some of the specific PEMF devices that you can use to improve your sleep. There's quite an array of options, and here I'll be providing a good overview and introduction to your options, with the aim being to go into each specific option in more detail on separate pages found on this site. Consider this your introductory guide. 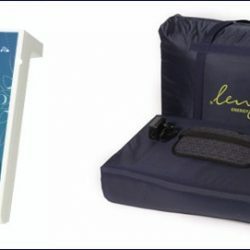 As you'll see, there are multiple options when it comes to PEMF devices for sale that can be used for sleep and/or healing, and they are quite different in terms of the way they deliver their PEMFs. 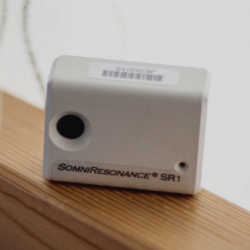 Also the pricing between the MicroPulse, and the IMRS 2000 for example is vast, and the price point for one, will greatly impact your decision. On this page, my aim was to provide information on possible options for people no matter what end of the buyer spectrum you happen to be on. Thankfully this technology is becoming cheaper now, and therefore more accessible. I'll provide an introduction to the product, the relative pros vs cons of each product, and where applicable I'll include either customer testimonials and anecdotal reports of efficacy for a given product. 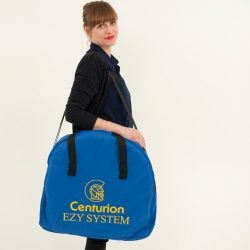 Also known as the Centurion “System A”, this coil shaped PEMF system, it's fairly light weight, weighing in at around 2kg (6 lb). Here's a quick look at the overview of this PEMF solution in terms of Pros Vs Cons. 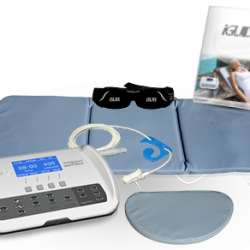 This system is good for both sleep quality enhancement, and also for healing and recovery. 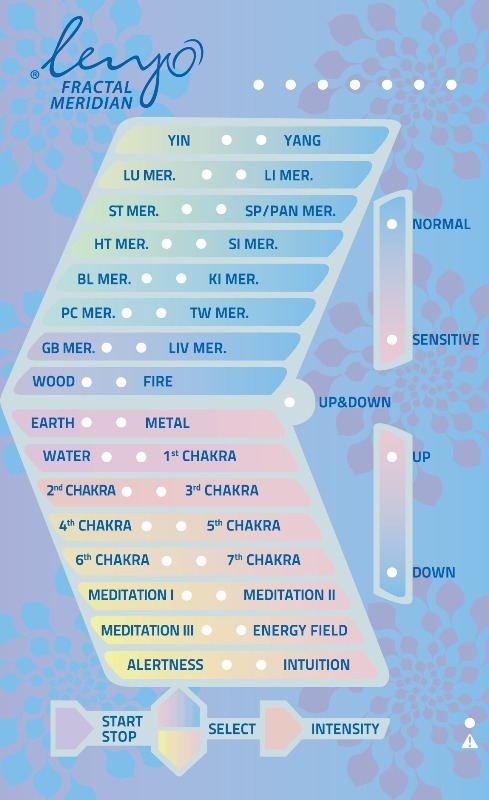 As you can see, the healing benefits of the PEMF frequencies are focused within the coil area, and so it's usage in different areas of the body will depend on your ability to “place” the system correctly so it has maximum affect. 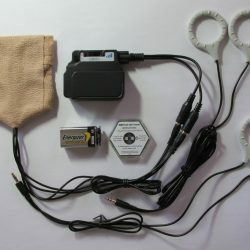 This PEMF system is unique in that it's the only system to use this coil design. 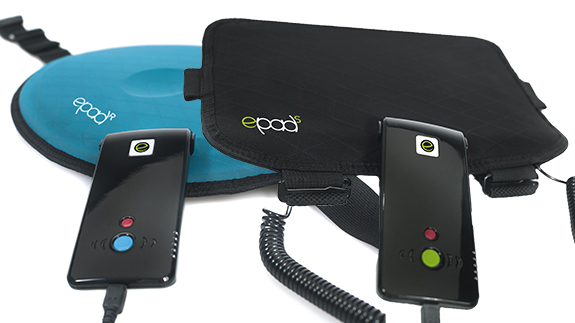 Accessories are available to allow for using the system in other positions which would otherwise be difficult. This includes back pads, feet pads, and feet and/or elbow pads. 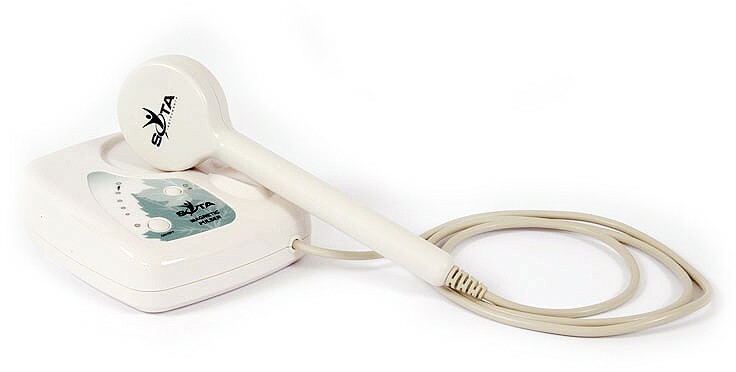 The ability of this PEMF is not limited to just human use either, the Centurion systems have also been used successfully with horses, and can likely be used with other pets too, such as dogs, cats, etc. 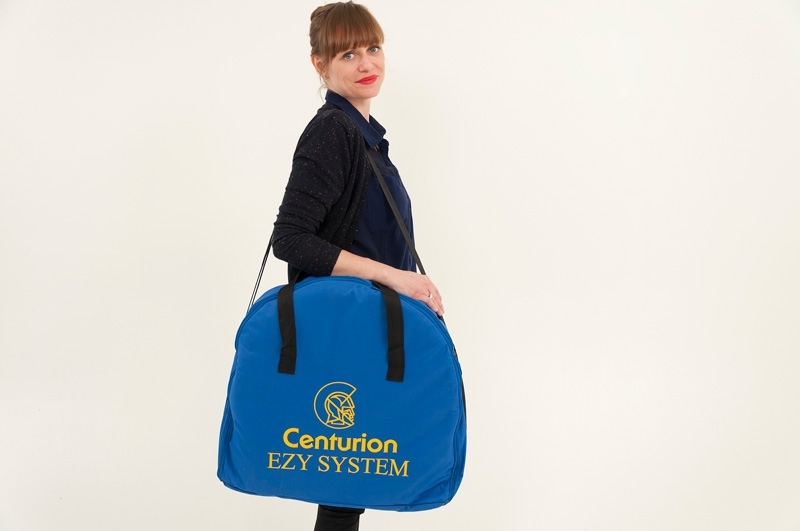 To find out more information about the Centurion EZY System, click here. The design of the MicroPulse A9a system with it's 2 small size and 2 magnetic coil setup allows for some versatile applications. The company provide very good information about the product's ability to lower inflammation locally in all areas of the body, as applied. 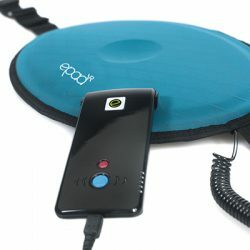 Cohen at selfhacked.com is a huge proponent of the ICES for healing all sorts of issues, and states that he has personally used it with success to heal gut inflammation, and to help with brain fog (too issues that a LOT of people suffer from and could use some positive relief from) . 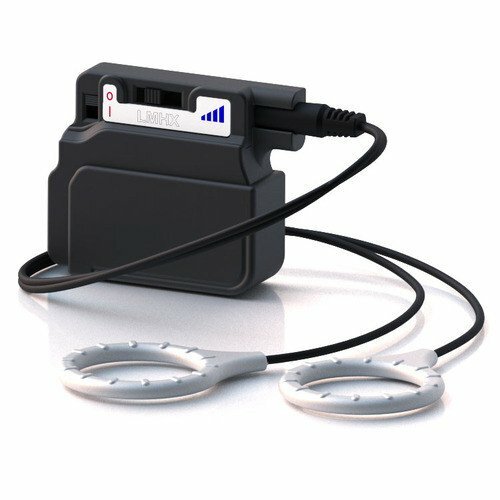 I like that they have provided extensive information on the specific health benefits of ICES and using this device, which can be found on their website, especially in the sections on Brain – TBI – Concussion, Tissue Engineering, and Blood – Coagulation (links open up in separate new tabs if you want to take a look). 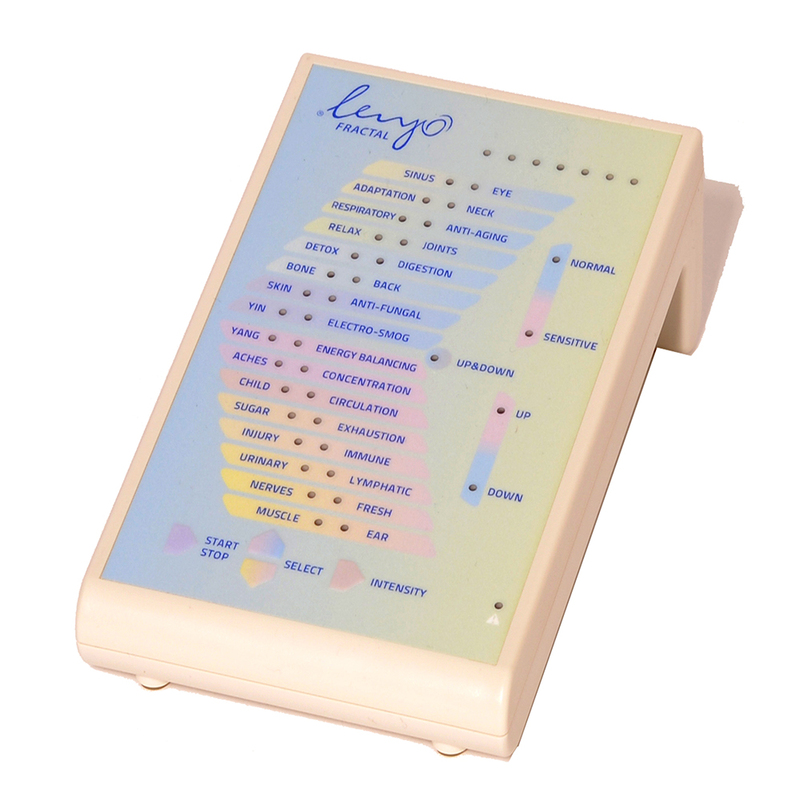 The Lenyo series of PEMF therapy devices used custom BRT technology (editor:find out what this is), and allows for the user to create their own customized sleep program based on their needs. 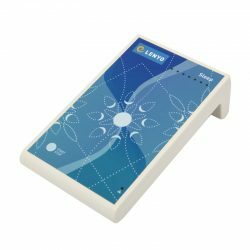 According to the manufacturers the Lenyo sleep works to support and relax meridians and functions which affect sleep patterns and sleep rhythms (for example circadian), this includes circulation, detox support, nervous system support, digestion, energy-balancing and stress reduction, muscle relaxation, the Lenyo Sleep PEMF device can help to resolve sleep issues and works to restore natural sleep patterns. The Lenyo device also includes “therapy pads” which some other devices charge additionally for as accessories. 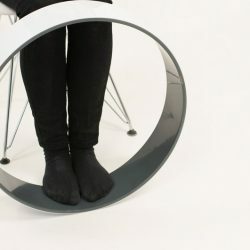 The device comes as a medium set, large set, extra large set, or as a Sofa/chair set. 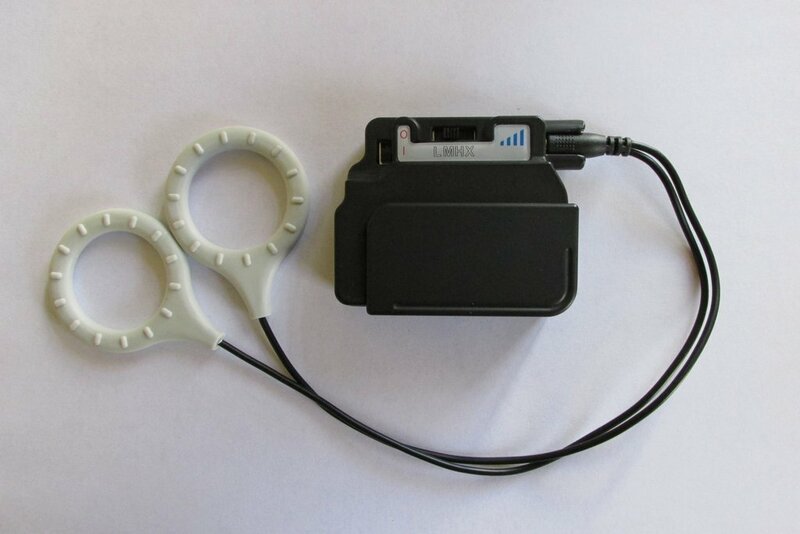 Find out more about the device here. 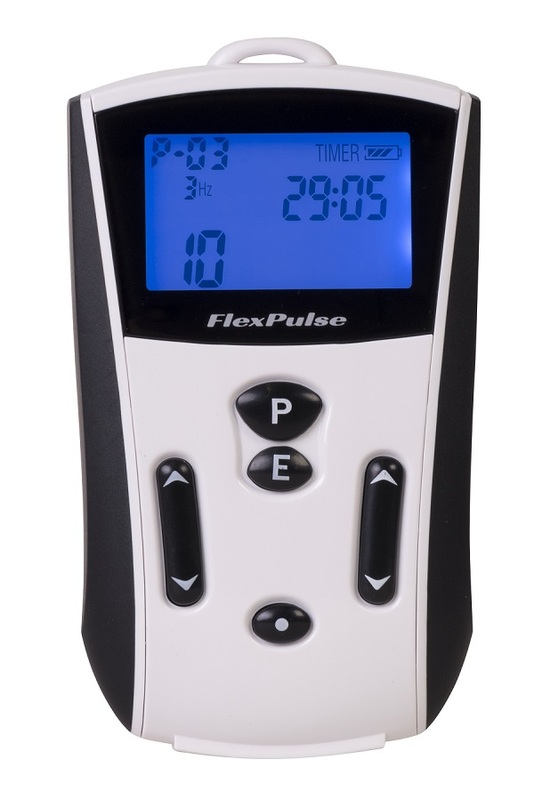 Similarly again to the ICES, the Flex Pulse device is very small, flexible and light weight, and therefore it's a great choice for a PEMF device if you are going to be on the move and require something more portable. 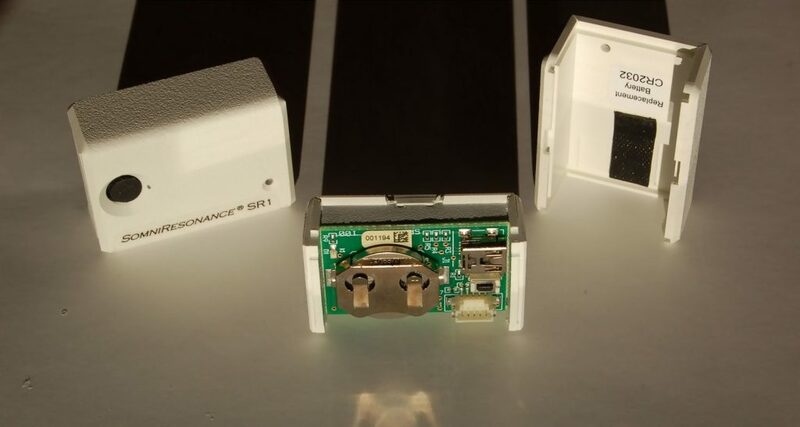 It has 2 separate port coils, although only one coil needs to be used at a time for the device to work. Using both coils at the same time will drain the battery more quickly, and give less power output as the device will need to split it's Gauss into two. 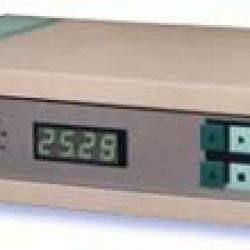 The maximum intensity for the device is 200 Gauss. Each coil has a relatively long chord for convenience. 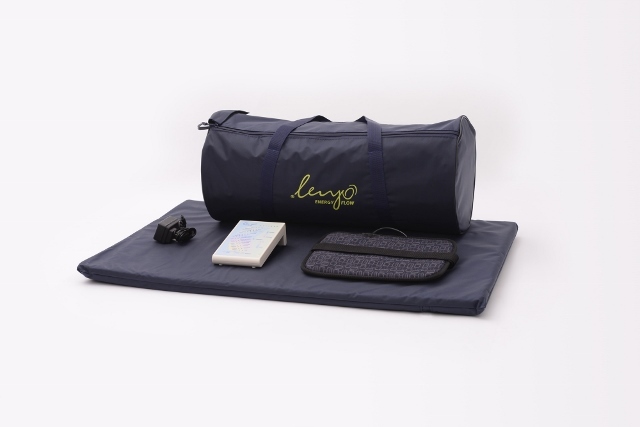 Obviously by the same manufacturer as the Lenyo Sleep shown earlier, this device is not specifcally designed for only sleep, but can be used for both healing, and sleep improvement applications. 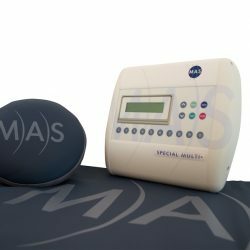 This is the flagship product from MAS, and provides a powerful all in one PEMF system that can help people treat a wide range of different issues from pain management, tissue regeneration to sleep improvement. 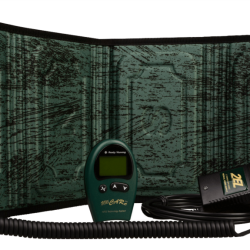 This is a mat based PEMF system, and incorporates the integration of 10 large copper coils, and 17 high intensity electromagnets made from copper wire, which supply the multiple waveform shapes including sine wave, square wave, saw-tooth wave and multi resonance. 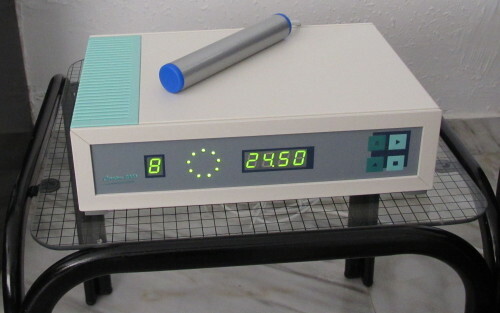 This is somewhat of a higher end system retailing at a bit over $5000, but will appeal to those who either want to use it in a clinical setting or aim to be using it a lot to resolve their own issues. 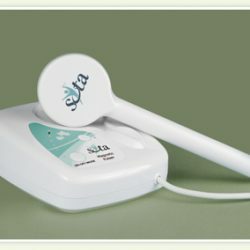 This is another hand held PEMF device, from the manufacturers Sota. 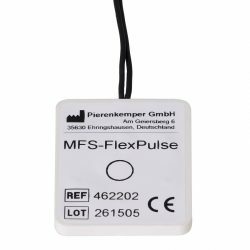 Similar to the Flex Pulse, and the MicroPulse ICES in design and application. 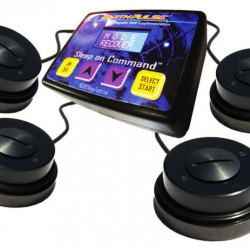 This device incorporates 2 usage modes, regular mode and fast mode. 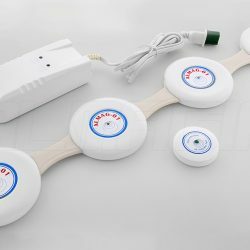 It also has the added benefit of using DC current to generate its pulsed magnetic field, and this means that one side of the hand paddle always the North polarity, and the other side the south polarity. 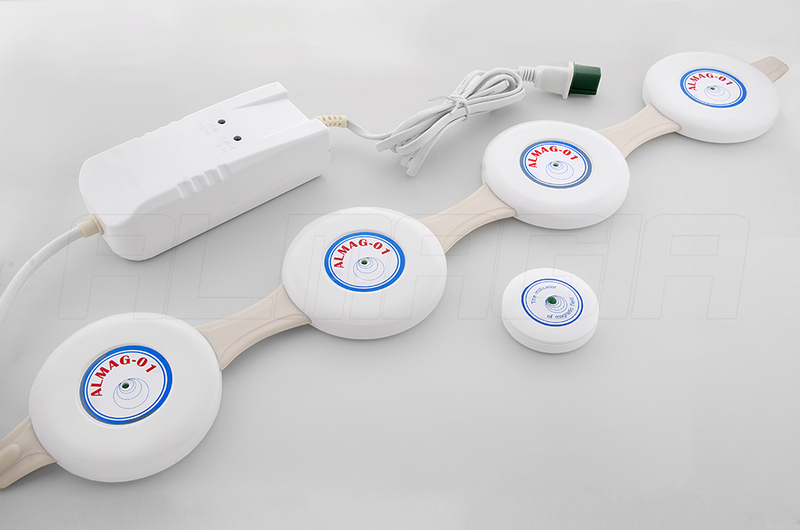 Always having North and South polarities means that the device also incorporates the added healing benefits of static magnets according to the manufacturer's website information . 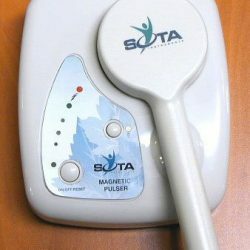 Sota also have a more thorough PEMF therapy kit available, called the The SOTA Premium Wellness Kit , which includes multiple “pulsers” or paddles. You can find out more about their products here on the website. 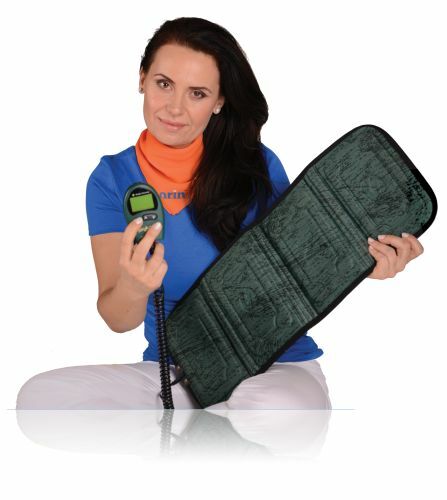 This is another full body PEMF mat device from Medithera. 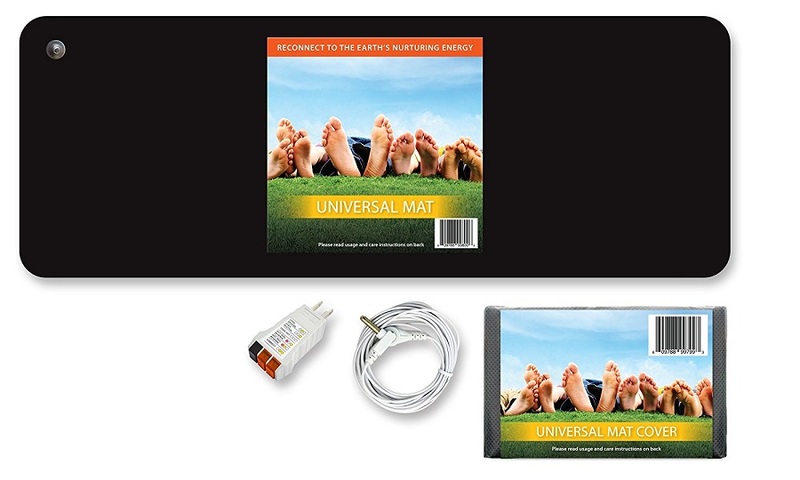 This is a premium PEMF, and similar in design and ability as other premiumly priced full body PEMF mats like for example the IMRS 2000, or the Bemer 3000, but quite a bit cheaper (retailing just under $2500 USD). 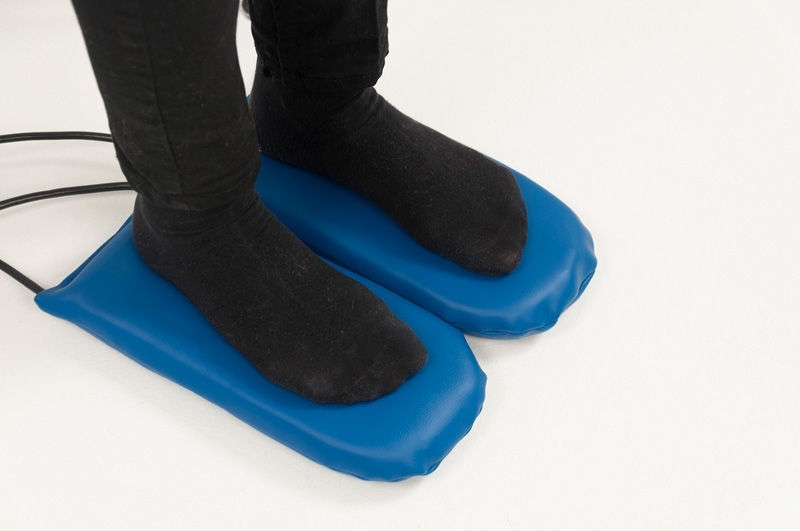 The Medithera includes a large and small mat, and either one can be used at a time, but not both together. 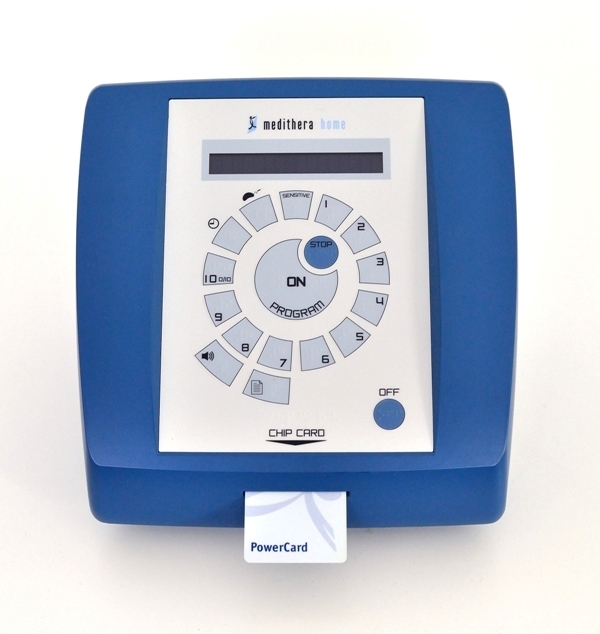 This device comes with a range of intensity options available on the dashboard from 1-10, but you will need to use their provided “power card” in order to use the higher intensity ratings from 6-10. 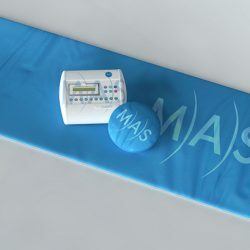 They generally recommend that only intensity levels 1-5 are used for most applications, but the higher ranges are available for chronic conditions, for those who have a larger body mass, or those who are less sensitive to magnetic fields in general. I like the fact that Medithera have reported case studies published on their website from various Doctors using the technology with patients. 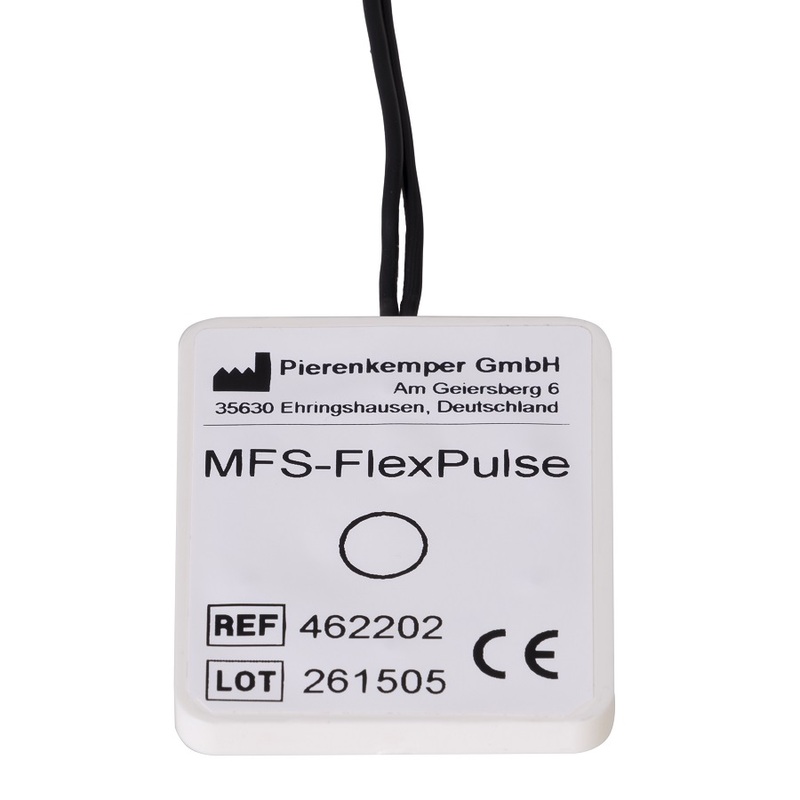 You can view these, and find out more details about this particular PEMF device here. They have some good testimonials from professional athletes, such as shown below. 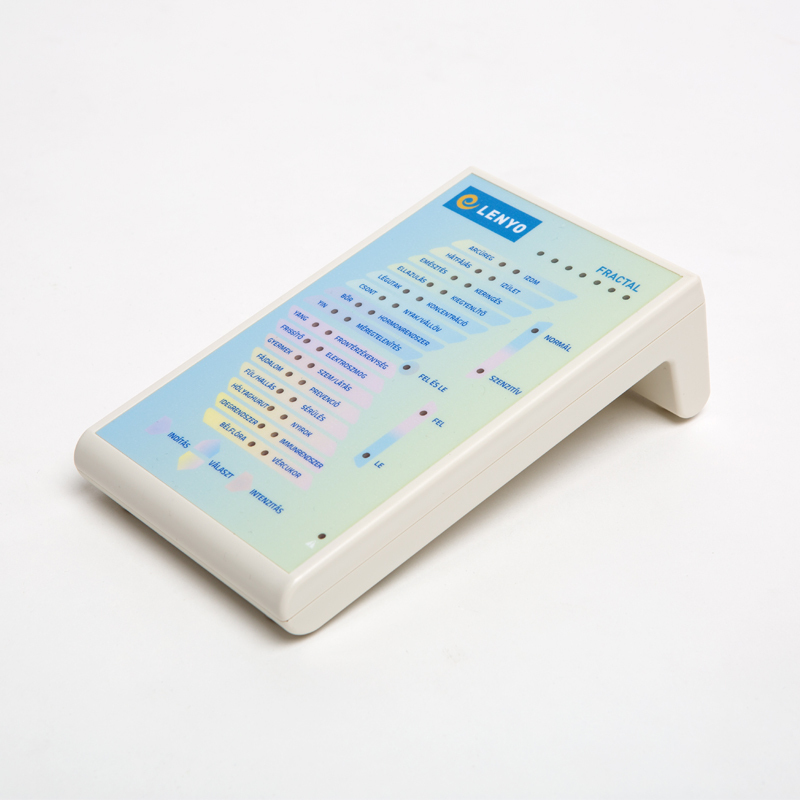 The Curatron features 10 pre-programmed modes by default, 5 for “therapy”-, and 5 for “health and fitness”. 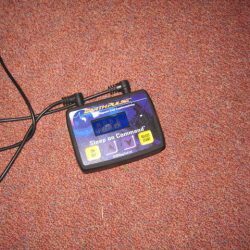 Each applicator for the Curatron 2000-HT allows for a different intensity level. 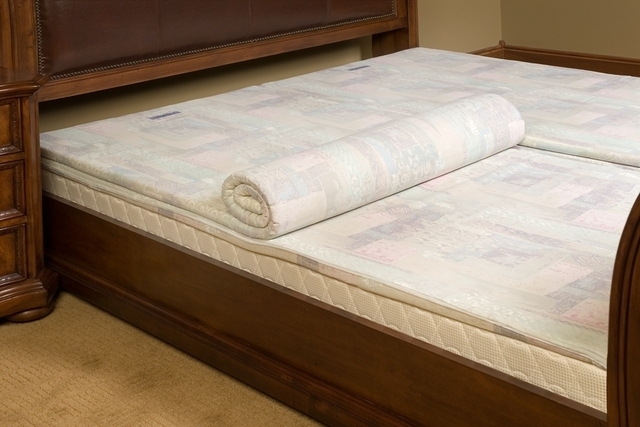 Accoring to the information on their website, the energy mattress has a capacity of 7000 µTesla (micro Tesla), the energy pad at 20,000 µTesla, and the probe with a capacity of 10,000 µTesla. 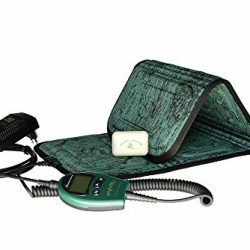 Marketed by the company themselves as a PEMF device for clinics and professionals, this is a pulsed electromagnetic therapy device that's designed for serious application. 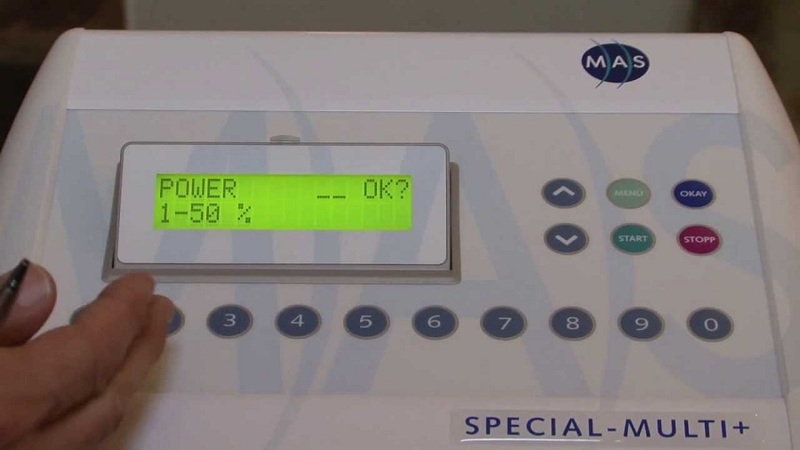 It's meant to be a high intensity system that's going to be sold at an affordable price according to the website, and claims to be 10, 000 Gauss. Unfortunately however, we'll have to wait and see about this one, as it's currently still unavailable for consumer purchase. 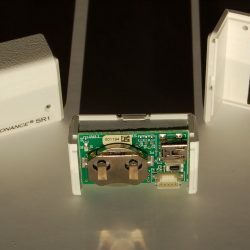 To keep tabs on this device, you can check their website periodically, it's probably going to be released pretty soon. The Almag 01 is the rather unusual looking PEMF from the US based company Almagia. We'll have to update the details on this device, as very little information on the specs were obtainable at the time of writing. 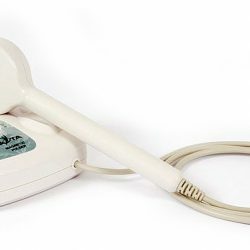 Unfortunately at the time of writing the UltiCare LT-99 has extremely poor documentation, and it's hard to find any decent information on this PEMF product. 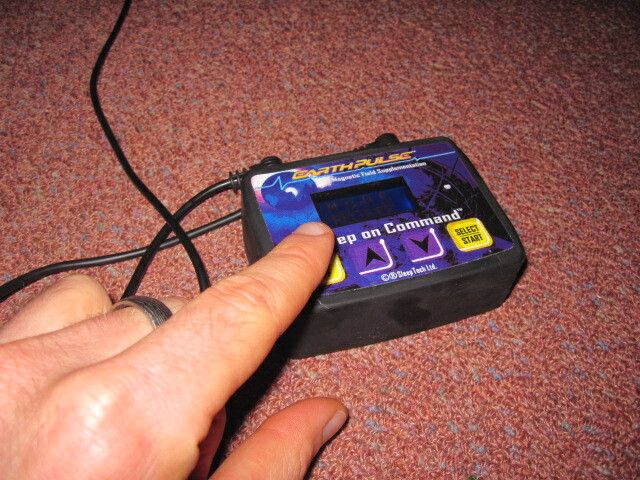 Actually the website is full of grammatical and spelling errors, which makes me very dubious about even mentioning it, but I've included it here simply because it's one of the PEMF devices that I came across in my research. 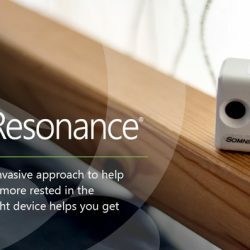 One interesting feature that the manufacturers claims is unique to their device, is that the Ulticare LT-99 produces magnetic frequencies in a way so that “frequencies never recur in the same way”. 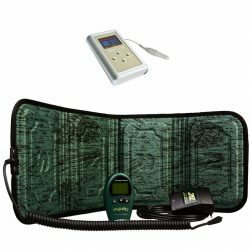 The benefit of this is that apparently it stops the body “getting used” to certain frequencies, which they state will lead to decreased efficacy and efficiency in terms of the results one is able to get from using PEMF. 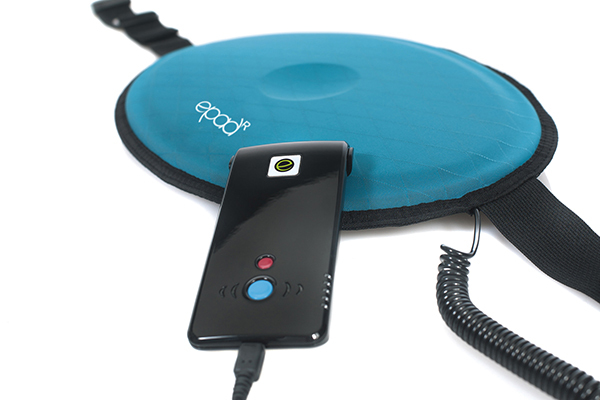 Orin claim that this particular feature (unnamed mind you…) is not used by any other PEMF device on the market. I find this claim to be somewhat suspect as from what I have read so far about other devices, many of them have the ability to vary frequencies a lot within a given program, and this is often something that's considered an important feature. The IMRS 2000 comes to mind here. 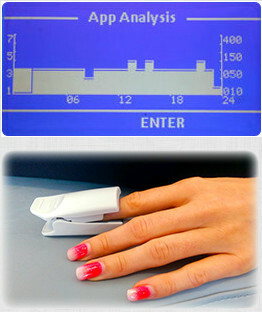 The BioTorus is another ring shaped PEMF device similar to the Centurion EZY System we looked at earlier on this page. 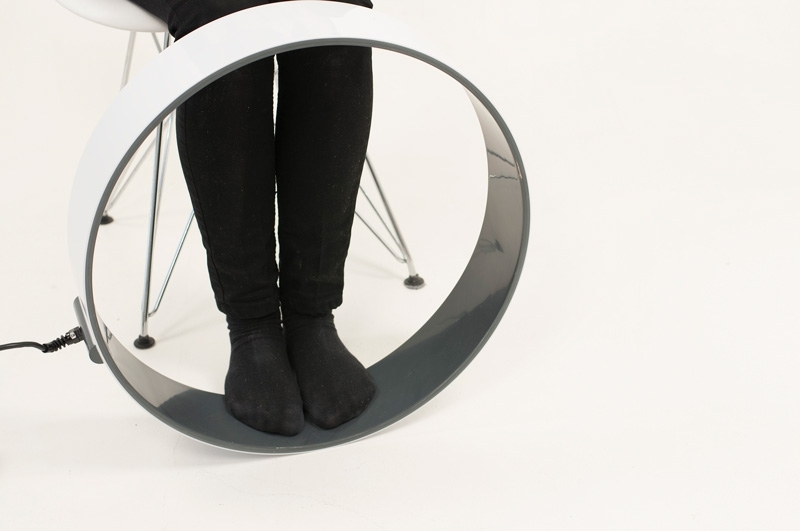 Fairly Lightweight, the device weighs under 1 Kilogram at just 850g. 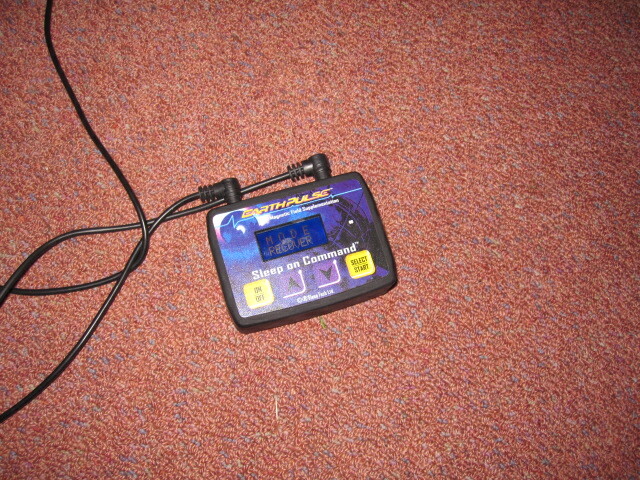 Twenty to sixty minute session time for this device, which unfortunately seems like a bit of a limitation. 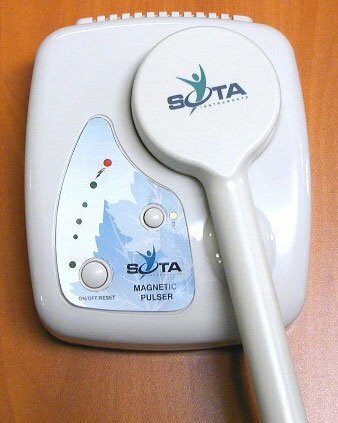 The main apparent benefit of this device compared with others, at least from what I could ascertain so far from my research, is that it incorporates what they are calling “NTS-technology”, which they claim helps to remove the apparently common issue when using PEMF devices, that being “body addictiveness to the pulse magnetic field” as they call it. “NTS” (never the same) technology as far as they explain it means that the device automatically prevents the same frequencies from recurring in the same way when using the device. I think the reason this is poorly explained and badly worded is because this company is non native English speaking, so their website copy reads poorly due to direct translation. Also, as I mentioned before for the other Orin PEMF device, I'm not entirely sure that other devices on the market don't offer a similar technology that achieves the same thing. 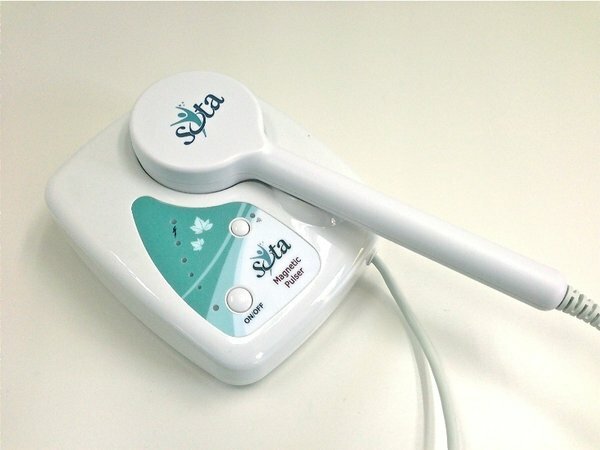 Surely if this is a real problem with PEMF therapy, then you would think that at least some of the other manufacturers apart from Orin would be aware of it, and have addressed it in the design of their products. Unfortunately again with this PEMF device from Orin, there's very little online information to research, and therefore this introduction is fairly slim. 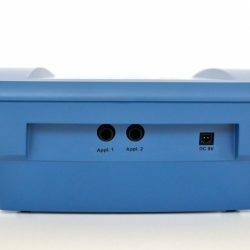 Immediately you notice that the Somni Resonance DeltaSleeper SR1 is uniquely different from any other PEMF devices in it's size and appearance (although admittedly there's a lot of obscure looking PEMF devices to choose from 😀 many of them at first glance look slightly science fiction inspired to say the least). 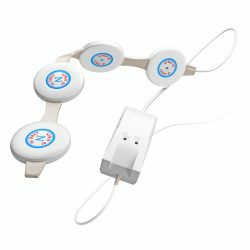 It's a PEMF built in a very specific way, mainly to help people overcome sleep disorders, or improve their sleep in general. Before we get more into the details of this device, let's have a quick look at the good and bad when it comes to the DeltaSleeper. 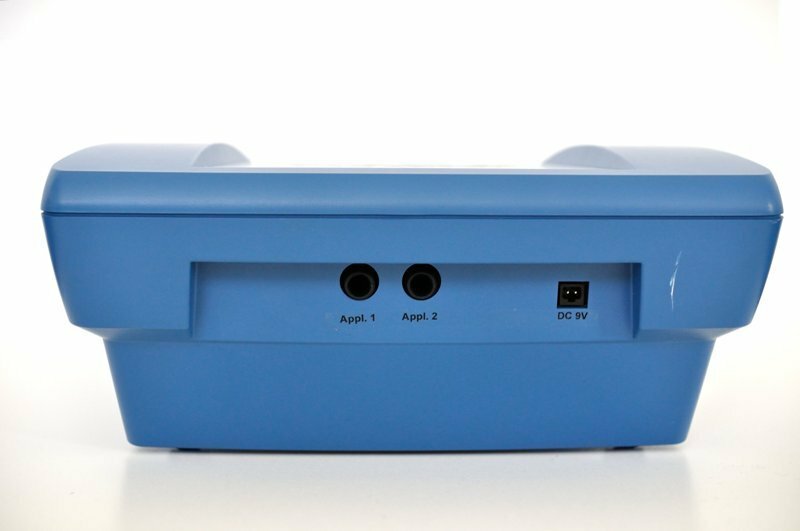 The DeltaSleeper SR1 is a slightly different type of PEMF in the way that it functions. 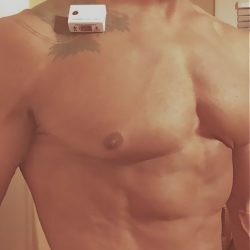 This small device actually sits on your body, just next to the collarbone (specifically over the brachial plexus, which for those who like specifics, is the a network of nerves formed by the anterior rami of the lower four cervical nerves and first thoracic nerve Ref), and the general idea is that you wear it just as you are about to go to sleep. 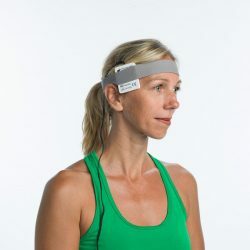 The device will then bring your brain waves down to the delta rhythm, and then unlike many other devices, will shut itself off. 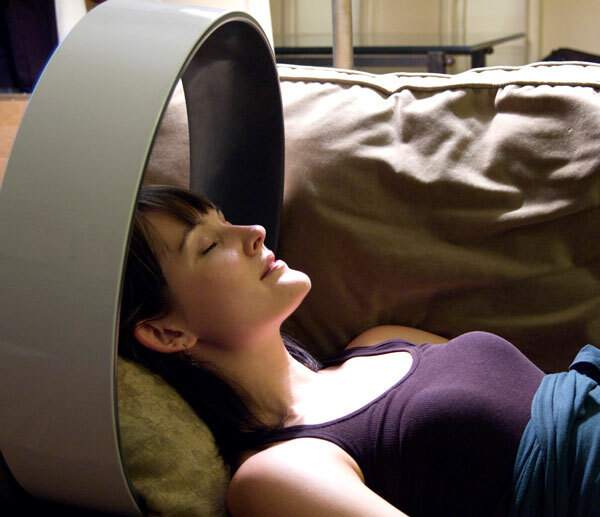 In fact, it only runs for 22 minutes (how long it's supposed to take your brain to enter delta sleep waves), before shutting down, and the idea is that by then you are well on your way to a long, deep restful sleep. 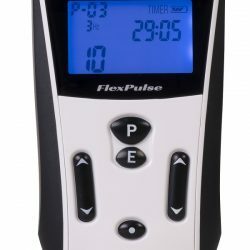 This is an interesting difference with this product, as with many other PEMF devices for sleep and for general healing and recover use either a periodical session (like the IMRS 2000), or are just set to run as you sleep, or for a self defined period of time (like the EarthPulse). 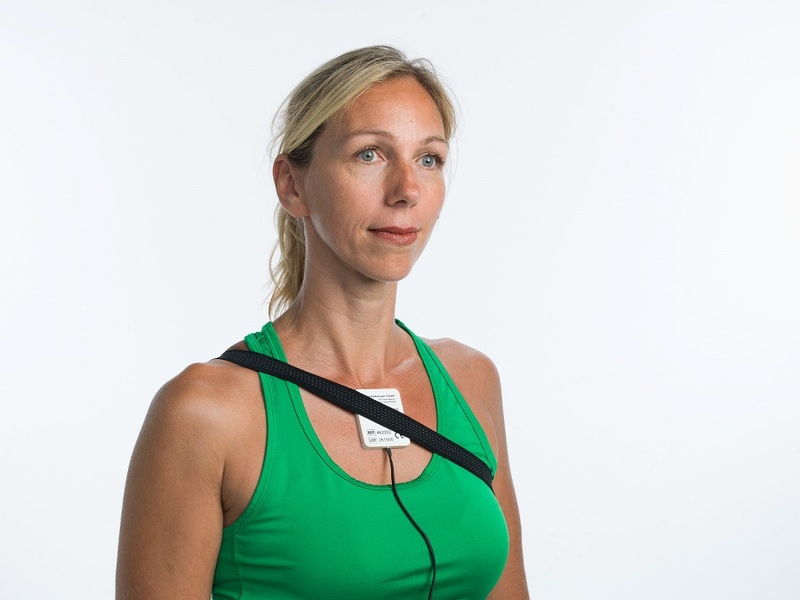 The placement of this device over the collarbone area is vital to how it works so efficiently to lower the user's brain waves down into the delta sleep phase. This is due to the fact that the brachial plexus in simplistic terms is basically part of a network of nerves, and the delta wave signals emitted by the SR1 are transferred from this area to the brain. 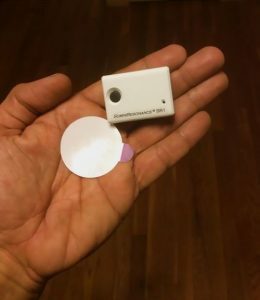 This is why the device is able to work so effectively despite it's small size. 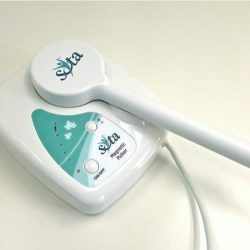 It's specifically designed to tap into, and communicate via this nerve network, and pass the signals on to the brain, which is where the “action” happens, and you receive the benefits of delta waves entraining your brain and nervous system for deeper more restful sleep. As we've delved into earlier, the brain frequency that you're in at any given moment relates to your state of consciousness, so those of us with sleep issues generally have problematic brainwave patterns that are not where they should be when we're trying to sleep. So we might be “up” somewhere in high alpha brain waves, even near beta, when we're trying to sleep, and as you have probably experienced, when this is the case you simply don't feel sleepy, and will find it very difficult, if not impossible to fall asleep. The DeltaSleeper takes advantage of it's size and the human body's biology (using the nerve pathway of the brachial plexus, as discussed), in order to “get it's message across” if you will, and get the brain to go down into the right brainwaves for high quality sleep. 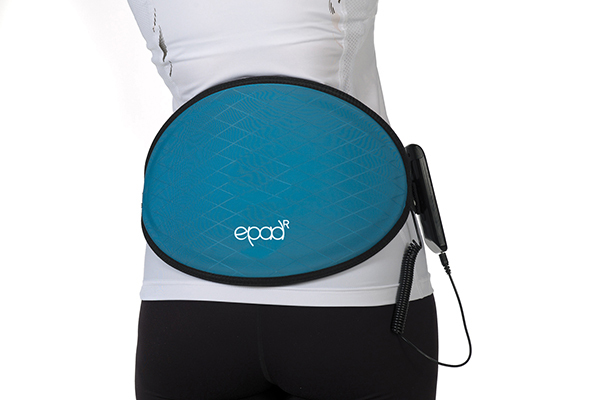 The Mas ePad as the name suggests is a pad variation of PEMF device, and is mainly designed for muscle healing/pain management indicated by it's shape and design of application. 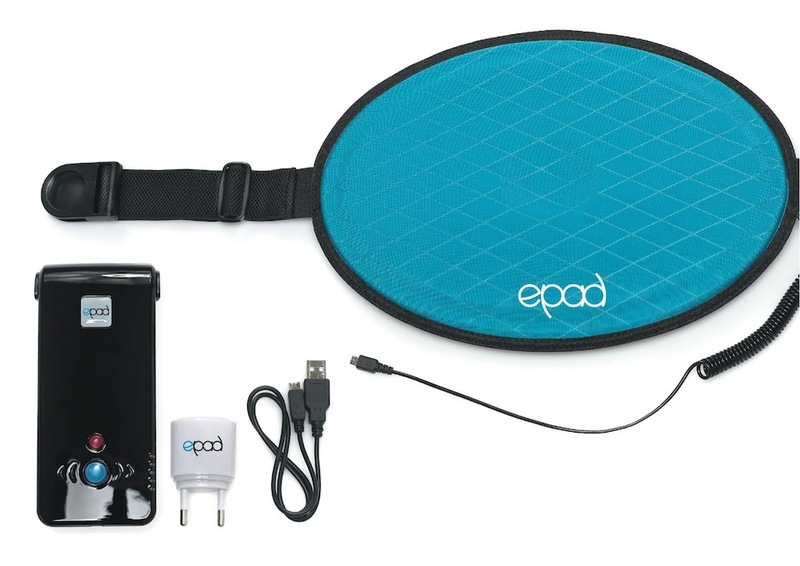 The pad comes with an “iPodlike” portable energy source to power the unit. 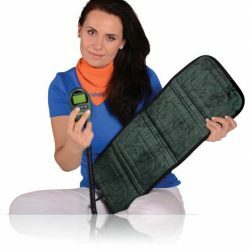 Rather small in size, it's a relatively portable PEMF, and is also said (manufacturers website) to fit under loose clothing so as to be barely noticeable. 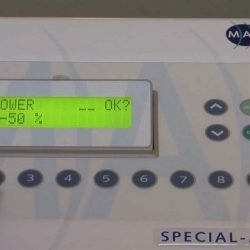 The limitation with this device is that it only comes with 3 preset modes, and that it also seems to be fairly limited in terms of the frequency ranges that it uses, using preset modes outputting from 3 Hz – 8 Hz. 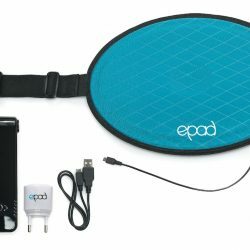 It seems that their is also an ePad Sport version available, which seems to be geared more towards recovery post workout and exercise sessions. The only information I could find on this was fairly limited, and was found via this PDF here, from the manufacturers website. 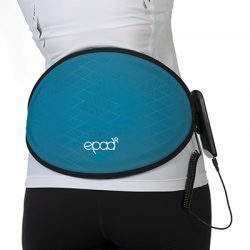 Unfortunately as with many of the PEMF devices that I've researched so far, the description of the application and features of the MAS ePad is somewhat limited on their website, and also it seems as if the website could be updated somewhat, as there are some typos in the copy along with some nonsense text. 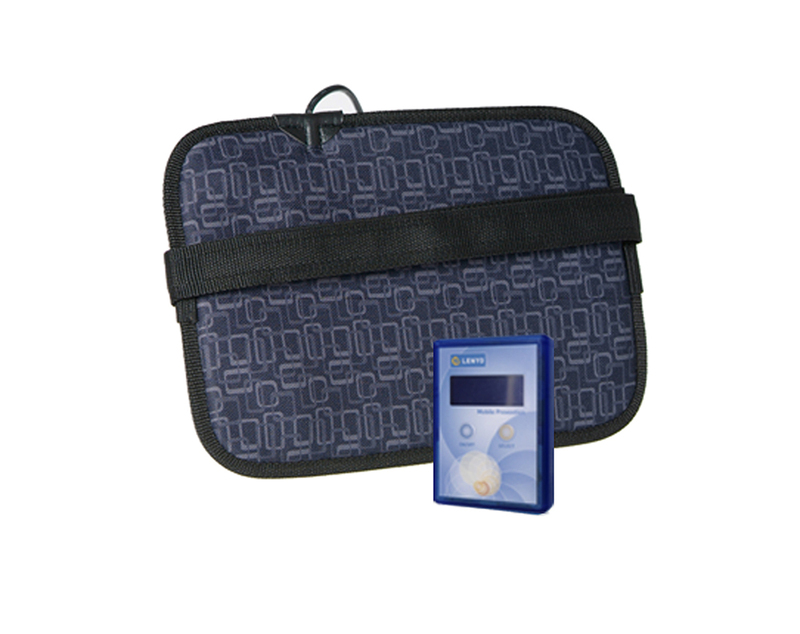 In either case, if you want to find out more about this particular PEMF device, you can visit their website here. 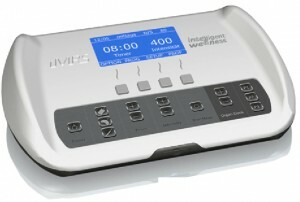 The IMRS 2000 is one of the more upper range PEMF devices, and sets itself in a different category than the likes of the DeltaSleeper and the EarthPulse, as it's generally marketed as a high end healing and regeneration device, whilst it is still certainly applicable for improving sleep issues too. 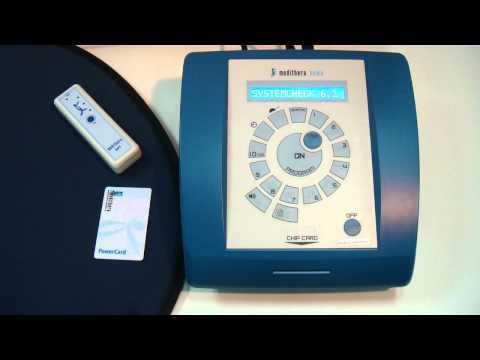 Firstly, let's have a quick look at what's good and what's bad about the IMRS 2000. 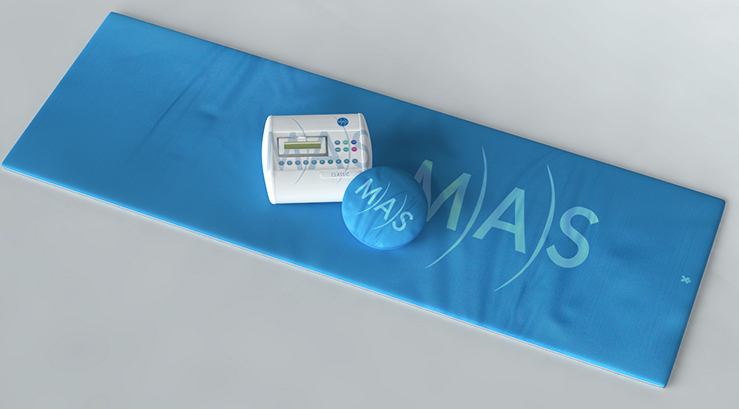 The IMRS 2000 is a full body PEMF mat, which incorporates an X magnet integration. 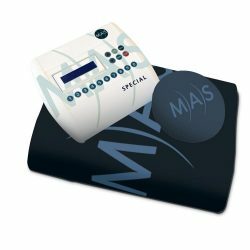 The design is meant to allow for efficient full body therapy, which enables greater benefits and shorter session times than some other PEMF systems. 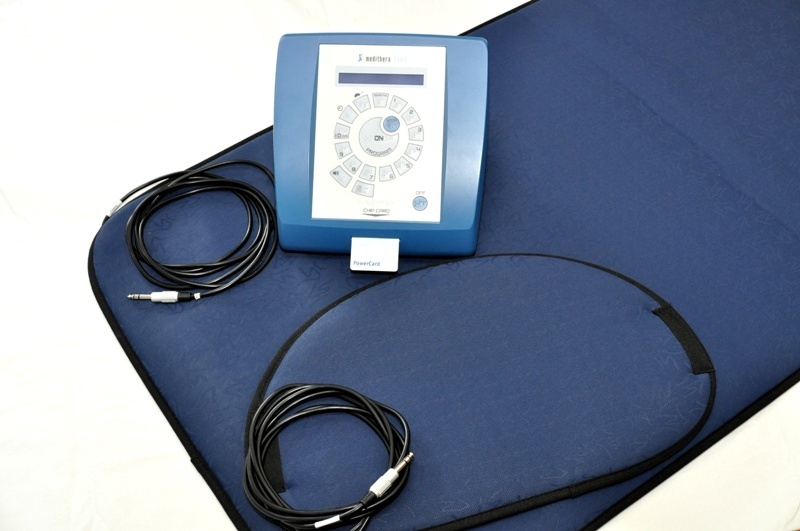 The iMORE system allows the IMRS 2000 to offer real time biofeedback of your PEMF session, which provides powerful data about how your specific session is working for you, and can help you fine tune your approach, in terms of which type of frequencies work better for your specific needs, etc. 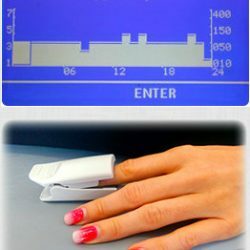 The device reads gathers your HRV data using a finger sensor, which once clipped on will remain there for the length of the session. HRV (heart rate variability) is a key bio-marker of health, and is very much related to the balance of your autonomic nervous system, and therefore plays a crucial role in determining many aspects of health and longevity. 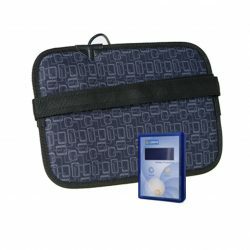 There are many studies backing up the importance of HRV, and it's pretty well established by the medical community now as a legitimate and important bio-marker, and therefore also used in a lot of studies as one of the key metrics in attaining the efficacy of potential treatments and therapies. When the session ends, the iMORE will show you a graphical representation of your session in terms of Heart Rate Variability, and also which frequencies were being outputted at any given time during the session period. 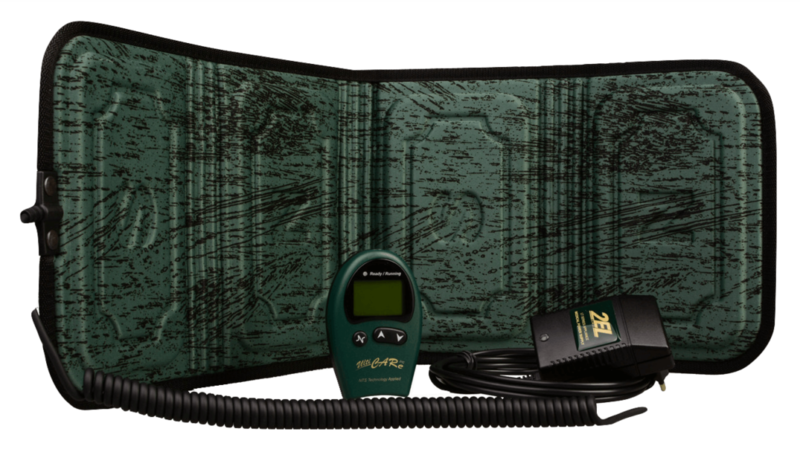 This allows the IMRS 2000 to automatically adjust the intensity of the sessions, and therefore means you'll be getting the most our of your pulsed electromagnetic field therapy. 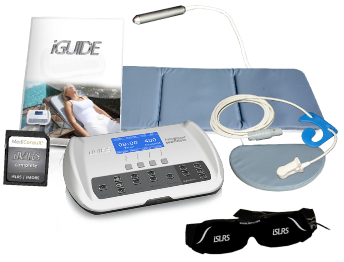 I believe this feature is one of the reasons you might want to pay the extra for a premium PEMF device like the IMRS 2000. 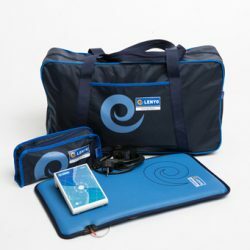 There may be work-arounds to getting the same or similarly useful data, such as using an emwave2 device to measure HRV while running your PEMF sessions, but to have it all built in to one device, and have it stored in the same place is certainly a convenient advantage. 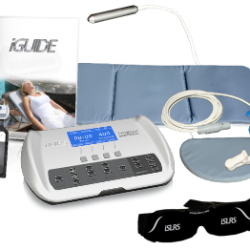 Put simply, the iSLRS integration allows for you to deepen your ability to deeply relax when using the IMRS for PEMF sessions. 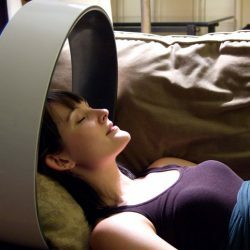 It's basically a brain wave entrainment setup using audio and visual effects to lower your brainwave activity and in most cases will be used to help your brain shift down out of the normal active conscious mode of beta frequencies, and down into the slower alpha, and delta frequencies which are associated with meditative states and deep relaxation. 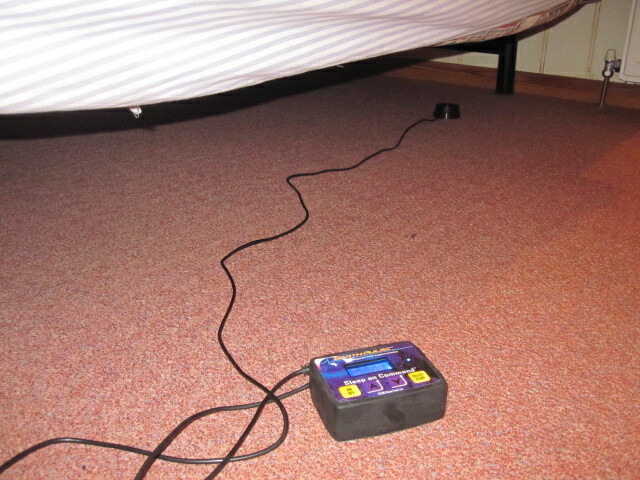 It's very similar to what you can do with something like Neuro Programmer 3, along with the audiostrobe setup they have. 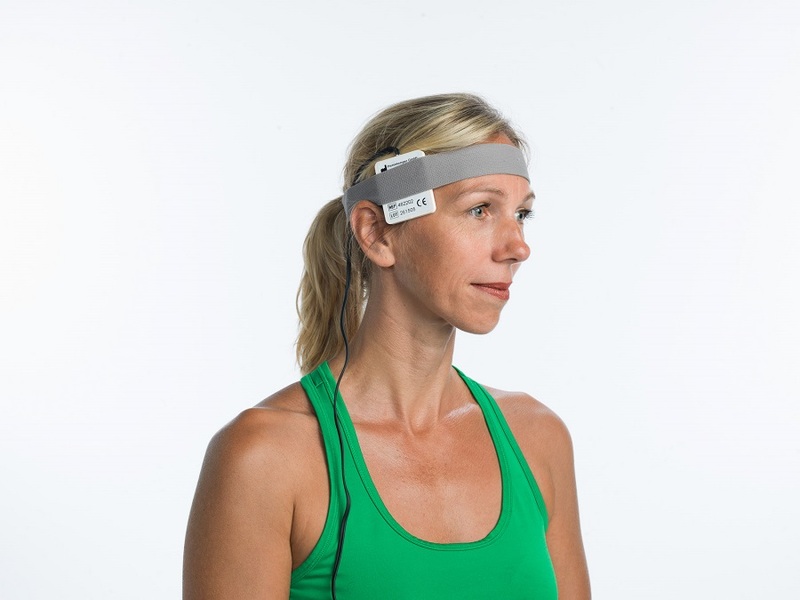 This technology (brainwave entrainment) has a long history of studies behind it's efficacy, and can definitely help to alleviate stress and train oneself into more relaxed states of mind. 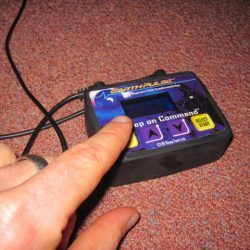 Again, the fact that this technology is built into the IMRS 2000 adds to the power of this already very well rounded PEMF device. That being said, I'm not about the quality of the built in entrainment library for both the light goggles and the audio tracks, and from my experience using brainwave entrainment in the past, it's very much an important factor, as the cheaper stuff usually doesn't sound as good, and also has questionable brainwave entrainment capabilities. You would hope that for the price range the IMRS 2000 is in, the audios would be very high quality, with the best entrainment engineering. You can listen to some of them here on the IMRS 2000 website. 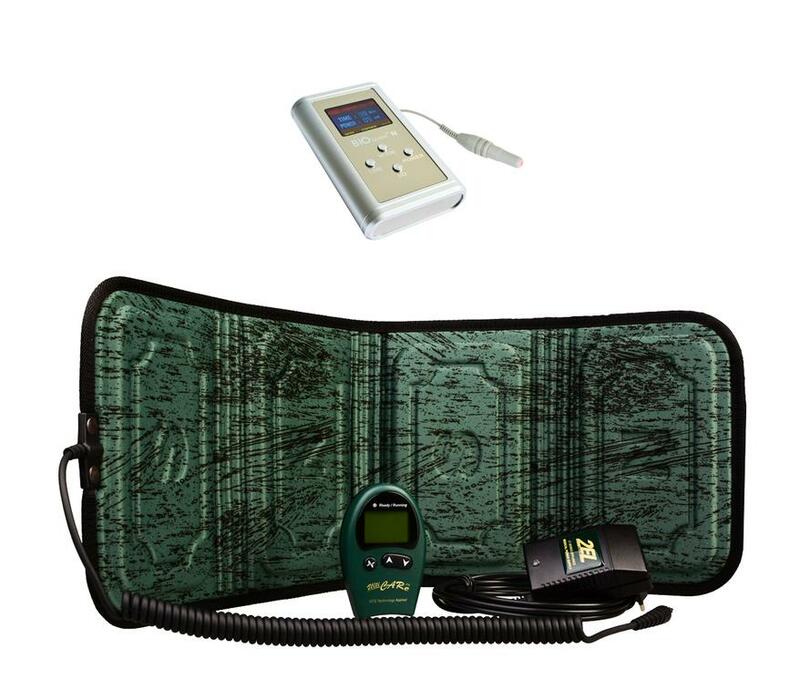 Overall the IMRS 2000 is a very professional high end PEMF system, that's obviously had a lot of well thought out design intevention, and aims to not just provide a PEMF device for its users, but also provides an entire relaxation and healing “suite”. For the premium price label, it may just be worth the investment, depending on your issues, and how much you value getting the highest quality solution. The EarthPulse is actually the device that I have used personally to overcome my own chronic insomnia that I went through, which lasted around 6-9 months at it's worst. 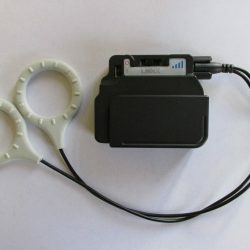 The device is priced in a way that makes it accessible for most of us, compared to the IMRS 2000. 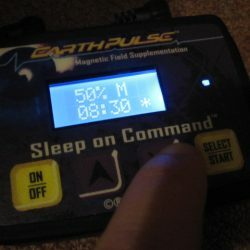 I won't give you too much details about the EarthPulse here, because I've actually written an extensive review about it and how it helped my sleep here, so I suggest you read up on that. In summary though, the EarthPulse has the means to help many people overcome acute and chronic insomnia. 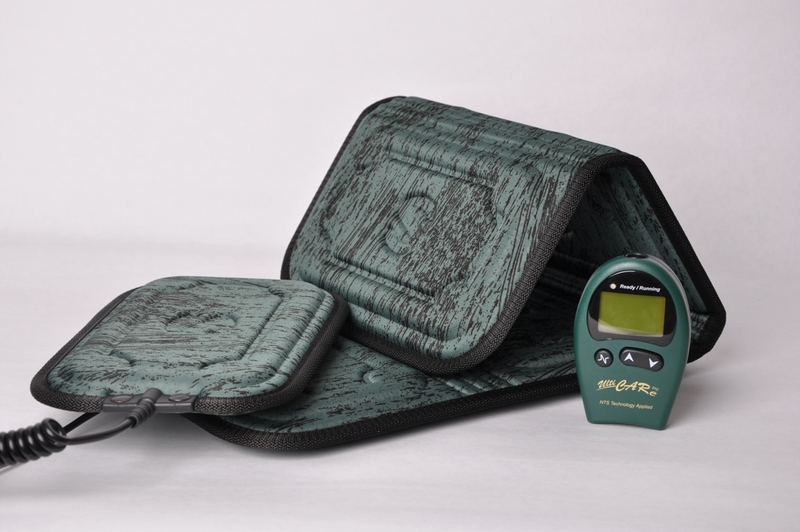 Like all PEMF devices being used for improving sleep issues, you'll likely have to play around with the frequency settings to find what works for you, but this is really unavoidable with any PEMF device being used for this purpose anyway. 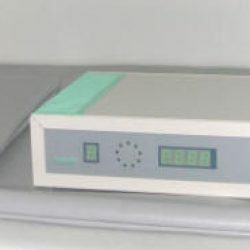 They are also very good at giving you time to trial the product, with their 90 day test period. 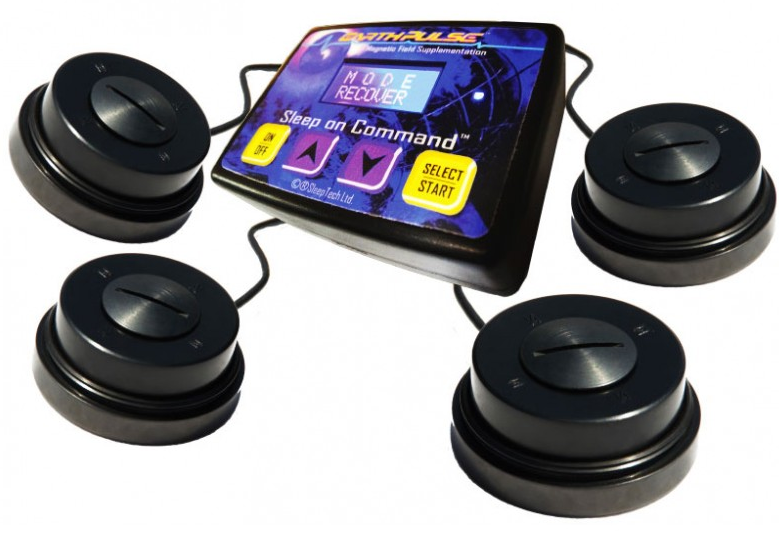 They also provide a few different versions of the EarthPulse depending on your desires for use, and purpose. There are options starting at just under $500, and going up from there. 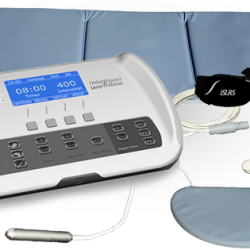 For those of you that were interested in the specific benefits of PEMF devices for improving sleep, you may be interested in this section, as you have a couple more options that you'll potentially find useful. 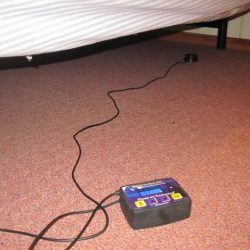 There are a few other possibilities if you're either just curious, or if for some reason you don't like the idea of PEMF for improving your sleep. 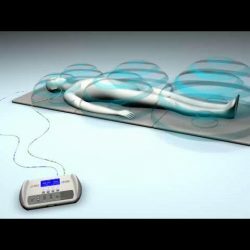 The idea of electronic waves being used to enable and deepen sleep disturbs some people, which I can understand (although we're surrounded by electromagnetic waves and radiation which is both good and bad all the time), and for those people these other options might be something to look at. 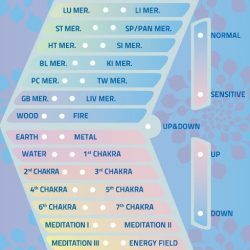 The whole “earthing” and “grounding” phenomenon has exploded in recent years, with the increase in knowledge regarding the problem of electromagnetic pollution. 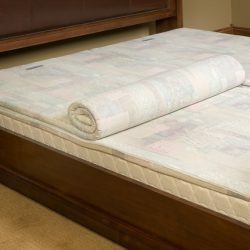 There's a variety of products you can try when it comes to grounding, including bedding, clothing and more. I'm only going to mention them here, and I'll provide a more thorough research backed page on this at a later date on this site. I think there's some realistic benefits that can be attained from using such products, but there's also a lot of hype in this market, so you need to be fairly wary and research it well before spending any money. 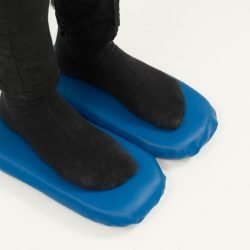 I have heard anecdotal reports of people getting sleep improvements with such things as an earthing sheet , or earthing mat, some of which are not too expensive compared to the other options such as discussed on this page. 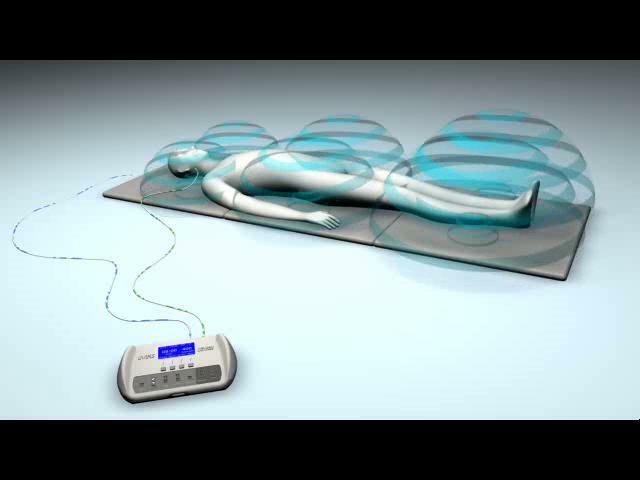 According to some people within the alternative health field such as Joe Cohen, and Jack Kruse, this technology is superior to PEMF, as it doesn't emit any specific pulsed electromagnetic field. This is debatable, and you'll find people on both sides of the argument. 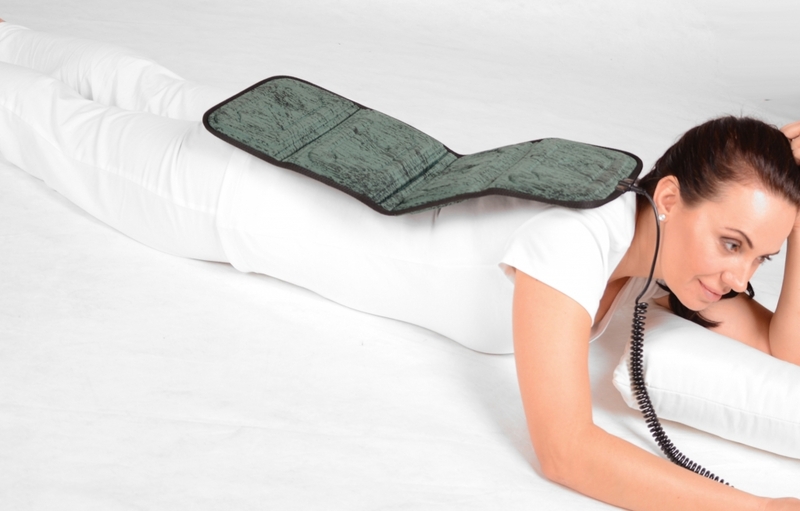 Whereas PEMF devices work by creating a pulsed electromagnetic field, as we've discussed earlier on in this article, the Magnetico sleep pads work by using the magnetic effects of a static magnet. 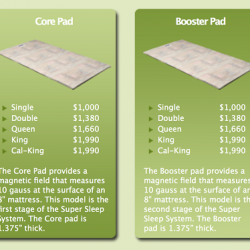 So the Magnetico sleep pad doesn't create a pulsed field, but organically has it's own magnetic field, which is created by the magnets embedded within the sleep pads. 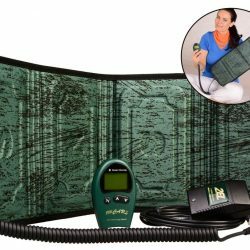 I have not personally experienced the Magnetico, though I do plan on investing in one some day soon, as I would like to compare the effects on sleep with the EarthPulse. 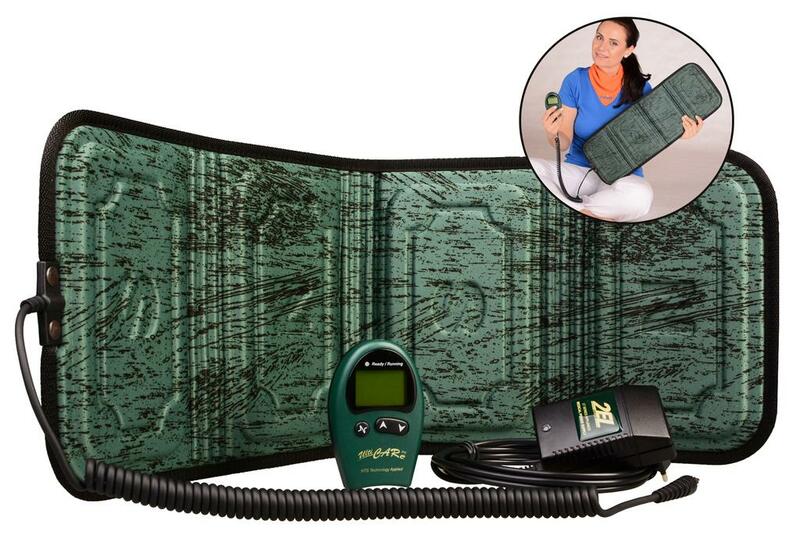 The main supposed benefit of using the Magnetico over PEMF devices is that it's a closer experience to the natural magnetic forces or waves that used to occur naturally by sleeping on the bare earth (the frequency being known as the Schumann Resonance, and which has been changing gradually in frequency due to shifts in the Earth's magnetic fields Ref heartmath. 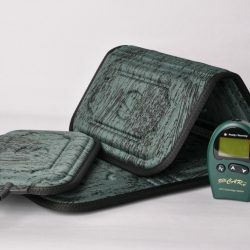 Their are a bunch of different sized variations available for the Magnetico sleep pad, though I've heard anecdotal reports that only the strongest version really works well to create noticeable and powerful benefits when it comes to improving sleep. 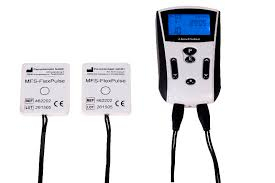 The size that you end up going with if you do choose to purchase a Magnetico will influence the cost of the system quite a lot, so you'll probably want to research it quite a bit, because similar to PEMF technology, this tech is quite expensive. 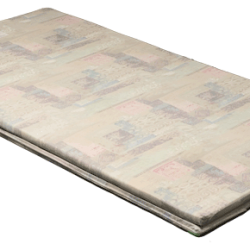 For an example of what's available and the pricing variation, here's the Magnetico Classic Double size, and here's the Magnetico Core Magnetic Sleep Pad Queen size. 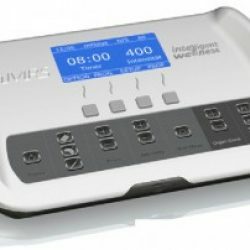 Hopefully this page serves as either a useful introduction into which PEMF device you might want to choose, whether it be specifically for improving your sleep or overcoming insomnia, or for other purposes such as pain and muscle recovery. 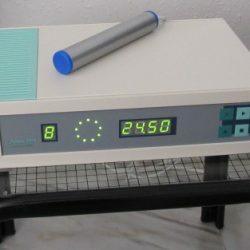 As you can see from this overview, there's certainly quite a decent range of PEMF machines for sale. 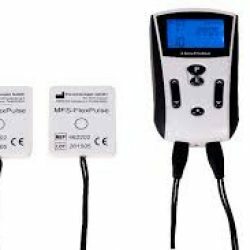 There may be more PEMF devices on the market by the time you read this of course, but I felt that these devices I've discussed here cover the range really well in terms of what's possible, pricing, etc. 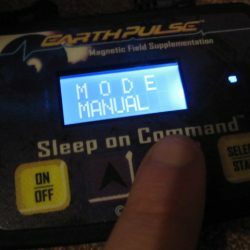 For sleep, personally the Earthpulse has been amazing for me. 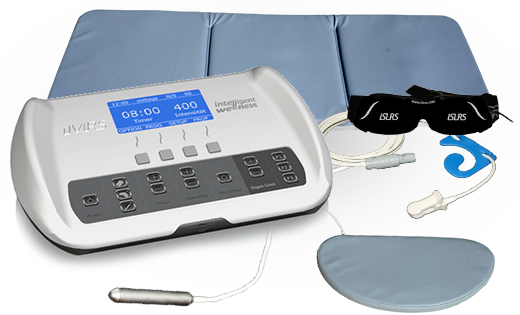 I think if I really wanted to go further with PEMF for it's healing potential and recovery, I would look into the IMRS 2000. 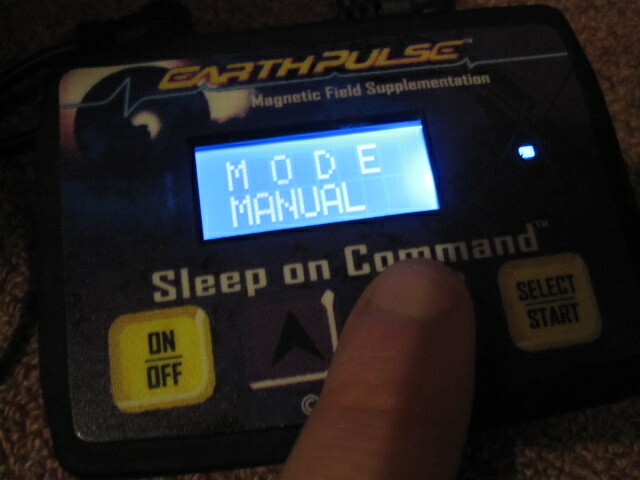 It's something that I may do in the future, but for now I'm happy with the lower investment of the EarthPulse system. 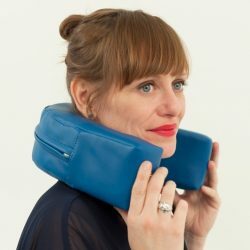 I also think that if you live a really mobile lifestyle and are mainly looking for improvements in sleep quality, then the DeltaSleeper is probably going to be the best choice you can make for those specific requirements, as there's just nothing else like it on the market (right now, at least) in terms of portability and simplicity of use. 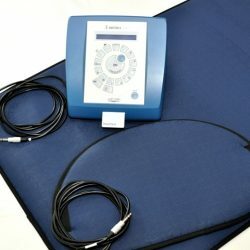 Have you used any sort of PEMF device for either improving your sleep quality, or recovery and healing? 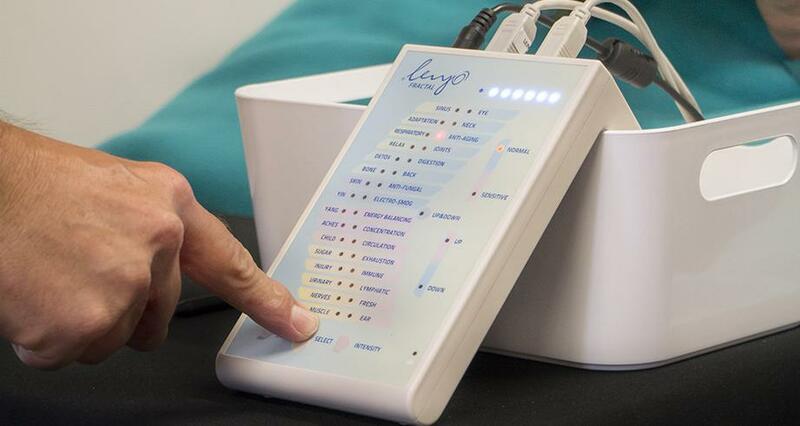 No matter if it's not one of the devices listed above, or whether it's positive or negative (obviously constructive is better and more likely to get a reply) I would love to hear from you regarding your experience with the exciting and relatively new technology that is PEMF. Please feel free to comment below the references here with your feedback, experience or thoughts on the matter. I look forward to hearing from you! I’m one of those lucky few who can sleep anytime and anywhere, even on the roadside of a busy street (been there, done that :D). But I have quite a few friends who have trouble getting into the dreamland. I’ll be sure to recommend this method to them. Thanks for the enlightenment. This is another great article from this site. 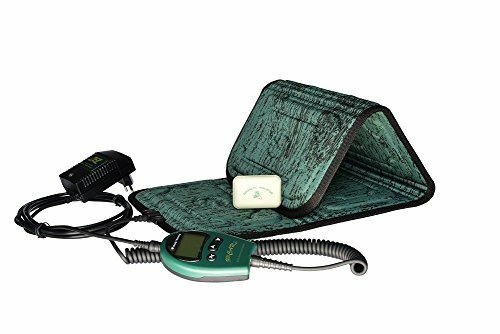 I currently have a shoulder injury, so was really interested in the findings on the use of PEMF devices for healing, and shoulders. And can’t we all use better sleep? That in itself is a life-changing improvement right there! Thanks for the depth of information you provide! Very interesting article and technology. I was just wondering… what if the major cause of the insomnia is something other than electromagnetic pollution, e.g. some sort of stress or trauma? Would PEMF still help? I have family members who suffer from insomnia, but it seems to be at least partly related to their circumstances. I hope PEMF can help them also. Well there’s a lot of Major causes I would say mate. It’s not something you can really generalize, but yes I would say that EMFs, Trauma/anxiety/stress, and several other things would be some of the main Major causes. Been trying to reach you through your “contact us” page, but it won’t go through. 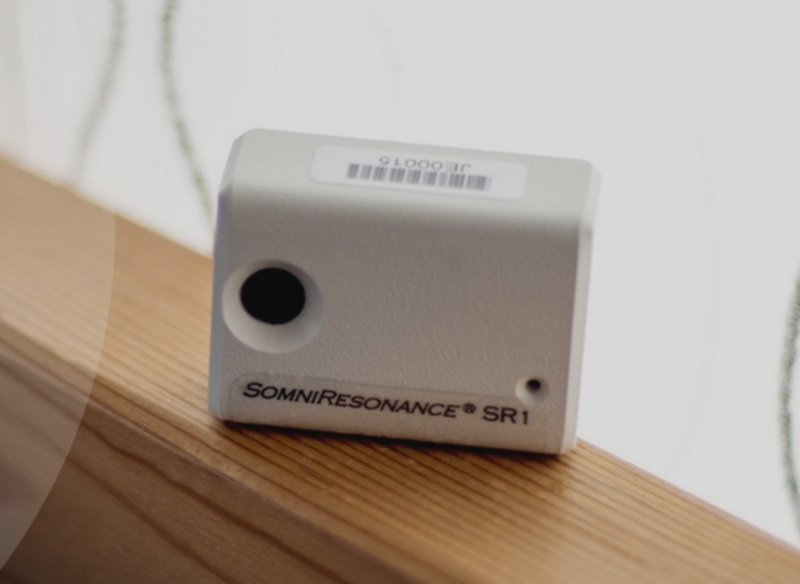 Please respond to my email regarding the SR1 sleep device. I have an IMRS Professional mat for about 3 years plus and now I can’t live without it. 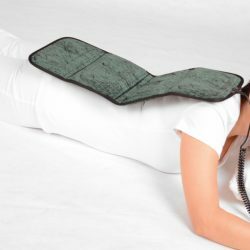 It has helped me tremendously with chronic pain (I am drug free) due to many back surgeries. The doctors have been wanting to replace my right knee for 5 plus years but since I bought my IMRS I have no knee pain. I use it twice a day for twenty minutes and absolutely love it. 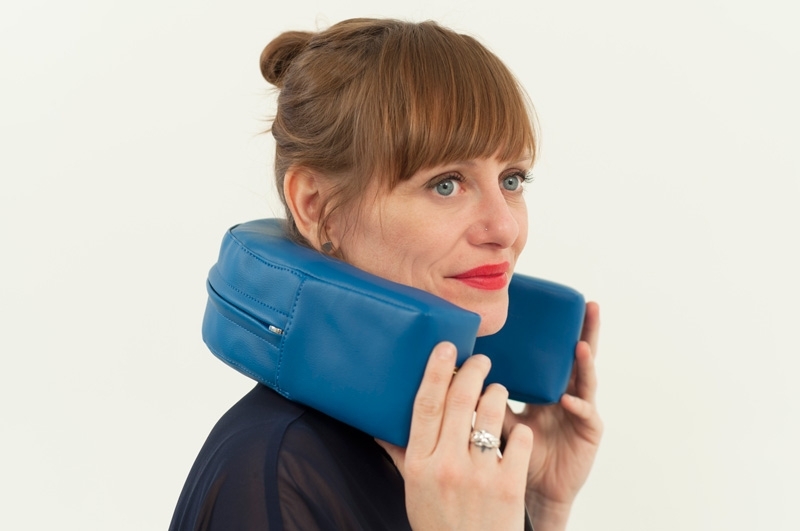 I really am needing a travel version that is not as heavy or bulky. Still looking into the options. Hello and thanks for the truly great information. I had diabetes and I have assisted my body to help it self-heal. PEMF will be the future of medicine! 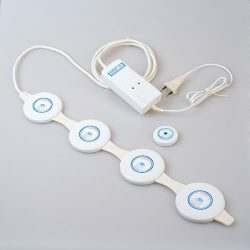 What is the best pemf device for helping parkinson? I’m sorry, but I don’t have to answer to this, I have not come across this in my research. Hi Nick, tried to reach you via your contact form but it is broken. Please let me know how I can reach you.